HDFC Life is one of the leading life insurance companies in India offering a range of individual and group insurance solutions that meet various customer needs such as Protection, Pension, Savings & Investment and Health, along with Plans for Women and Children. HDFC Life wanted to create an innovative platform for the modern millennial, which would serve as a means to educate them on life insurance - its need, the different kinds of products and the relevance of life insurance in financial planning. The company wanted to explore options beyond traditional media. The objective was to engage with the consumers in a manner that is more real and offers a superior experience. 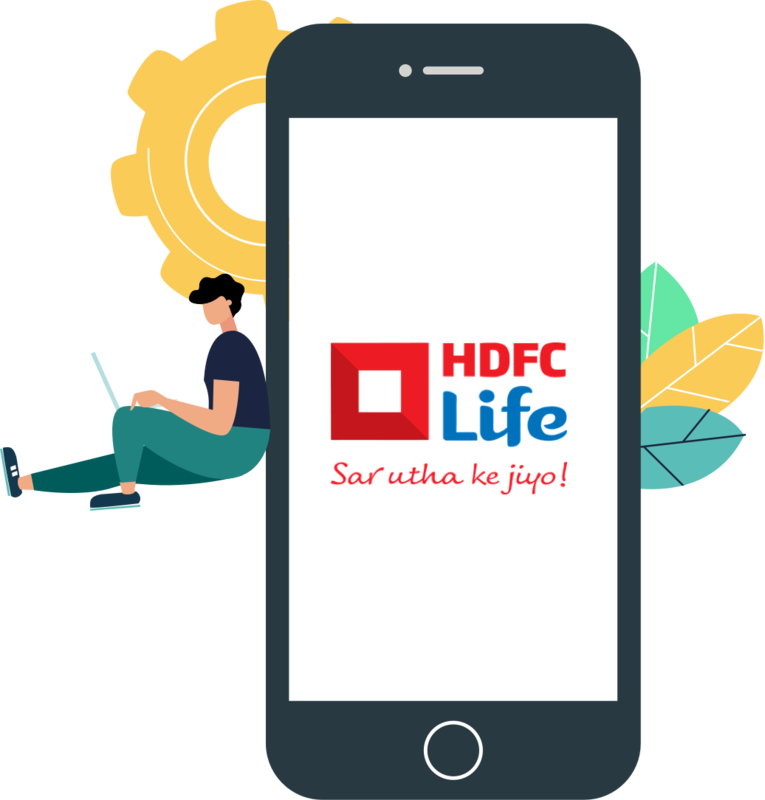 With the hypothesis that a conversational advertising approach would enable the advertisers to optimize targeting, deliver a satisfying user experience and earn higher ROI, HDFC Life was interested in exploring a new avenue for advertisement: Chatbots. 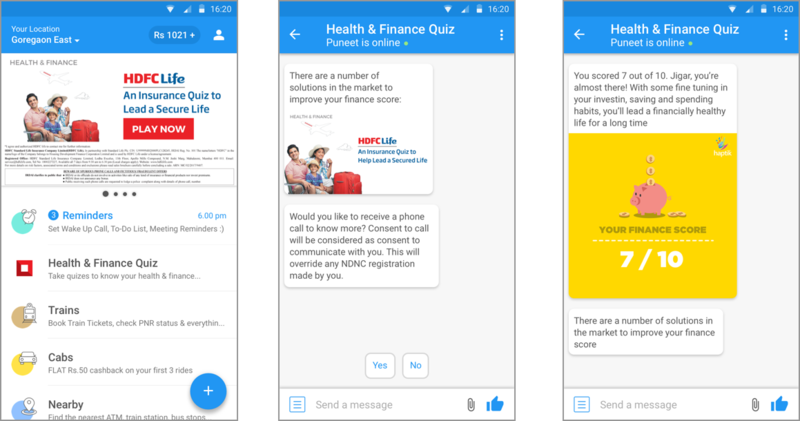 Haptik built a Direct-to-Consumer chatbot on the Haptik platform and named it “Health and Finance Quiz”. This chatbot enabled the user to take a quiz about his/her financial/physical well being while also being a vehicle for native advertising. Financial Awareness and Health being universally relatable topics, it didn’t take much time to pique the interest of the user. At the end of the quiz, the chatbot decoded a financial/health score on a scale of 10. This was followed by a prompt asking if the user would like to know more about solutions in the market to improve his/her score. 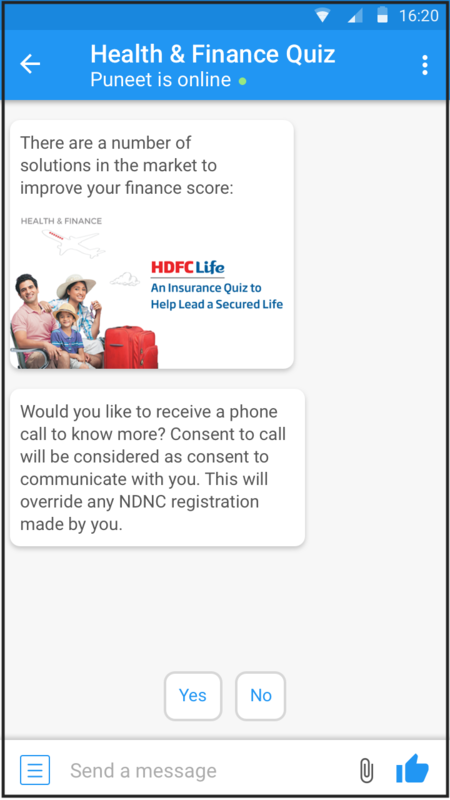 This led to a Call to Action in the form of an in-bot advertisement by HDFC Life. The gradual introduction of the product using the classic Problem-Solution Approach connected well with the users and about 8.03% express an intent to purchase the product. In comparison, Traditional web-based forms generate anywhere between 1-2% intent to purchase. The campaign saw an excellent response from the millennial audience which is notoriously difficult to connect with. The Haptik chatbot has provided us with an innovative platform to reach out to and cater to the interests of the millennial customer. The response has been encouraging and I foresee a great potential through Haptik.